Westley J. Williamson, 90, of Cary passed away November 14, 2017 at his residence. He was born in Cornwall, NY a son of the late Kenneth Williamson and Margaretta Kinsley Williamson. 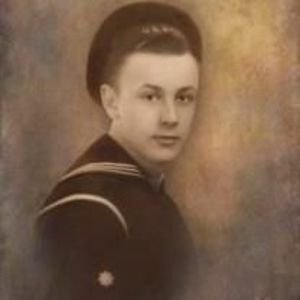 Westley was a member of the US Navy serving in Korea and WWII. He was a past commander in the VFW post 692 and also past commander of the American Legion Post 151. He attended Orange County Community College and was a long time resident of Cary, NC and Middletown, NY. He was predeceased by the mother of his children Joan Williamson and his wife Sherry Williamson. He leaves behind his 4 children: Gary Williamson and wife Laurie, Keith and his wife Jody, Cheryl Matuszewski and her husband Rick, and Nancy Baker; 9 grandchildren and 15 great grandchildren. A time of visitation will be held from 10-11 Saturday November 18, 2017 at Brown-Wynne Funeral Home 200 SE Maynard Rd. Cary, followed by a graveside service at Wake Memorial Park 7002 Green Hope School Rd. Cary. In lieu of flowers memorial donations may be made to the Alzheimer's Association or to a Veteran's organization of your choice.